Posted on March 3, 2019 March 3, 2019 . by Patrick Johnstone. Leave a comment. 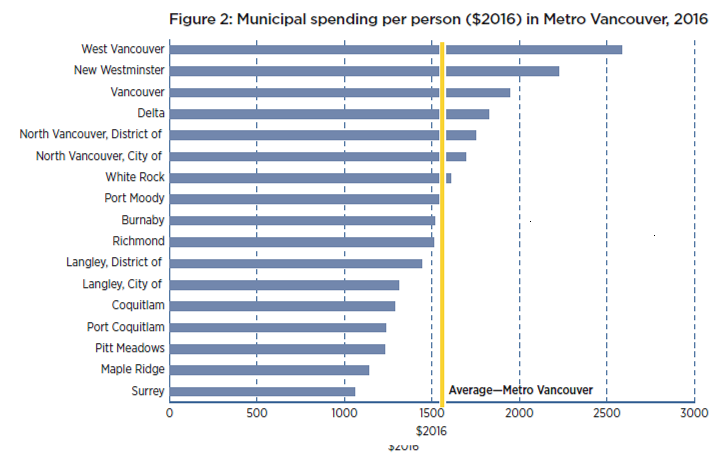 I guess we knew this was going to be a tight budget year for New Westminster, as it is for most Cities in the lower mainland. The shift in MSP / employer health tax has impacted many municipalities hard, which I will talk more about below. Combine that with our aggressive capital plan, regular inflationary increases in costs, and constant demand for new services, and the tax increase is higher than some would have liked this year. 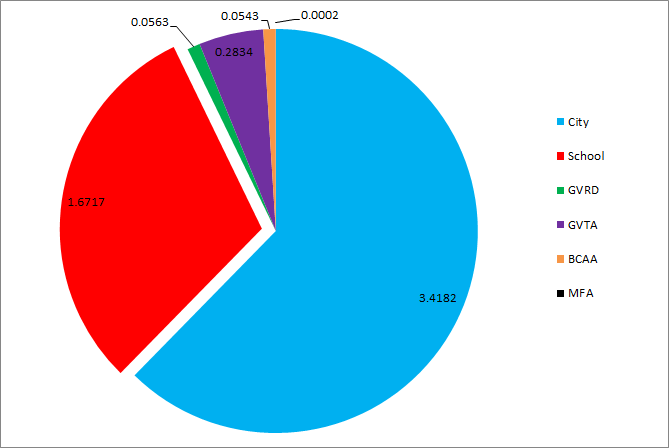 That said, I actually would vote to make it a little bit higher, and indicated so to Council. Here is my rationale. The current proposal is for a 5.28% increase in property taxes. That is about a $117/year increase for the “average” household. For perspective, the “average” household in New West is a $1.2M house that went up in value over the last year by 9%, or about $100,000. Condos went up a little more than houses overall, so the tax increase for condo owners will be proportionally higher than for detached house owners. The City has no control over that, it is just how the market works. 1.8% is directly attributable to the shift in the MSP and employer health tax. This could be viewed as downloading: increased local government costs that will be funding something that should be paid from provincial and federal coffers. However, I generally reserve that for when we shift the burden for a service to local governments, not just the cost – an oft-mentioned (by me!) example is underfunding the provincially-funded ambulance service so that our locally-funded Fire and Rescue staff need to cover the load. regardless of what you call it ,the effect is the same. We and other cities have challenged the province to not apply this to local governments, and we lost that fight. So here we are, and need to budget for it. If you want to take a more positive look at (spin of?) this tax increase, remember that it is a result of phasing out of the MSP system. That means the $40 or so that this 1.8% costs the “average” household is easily offset by the $1,500 the “average” New West household saves in reduced MSP fees. If that is no help, then at least recognize this is a one-time event, and that there will actually be a slight reduction in City costs next year as the final MSP phase-out occurs. That means we will be starting the 2020 budget year ahead of the game by about $300,000. 4.23% is direct growth and inflationary pressure – increased wage and supply costs related to just doing what we do every day. This goes up both because of because of inflation, and because the population City is growing at a rate of about 1.6% per year, so we need to do about 1.6% more stuff. Add to this inflation a little above the 2.0% projected CPI increase (don’t get me on a rant about how the CPI “basket of goods” does not fairly reflect the inflation of running a municipal government) and the projected 2.5 % wage growth across the region. Much of this increase is locked up in contracts with our staff, which have annual increases built into them. Of course budget time usually results in some on-line trolling of City workers. For the record, I no not think our staff is underworked or overpaid. 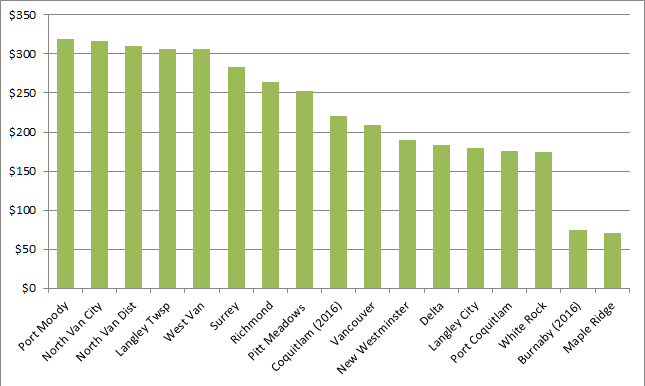 Wages in New West are a little below the regional average for municipal governments for people in comparative roles, and our ratio of exempt staff to union staff is about 13%, which is slightly below the average of comparable sized municipalities (a fact that is directly counter to the rhetoric used by some during the recent election). -2.46% That’s right, this is a negative. The growth part of above means that there are more properties / people to pay taxes and more services bought from the City. The taxes from new construction and increased other revenues allow us to actually reduce the overall tax rate by about 2.5%. 1.2% is related to new spending. This is all new staff positions and operational and capital costs related to things we do now that we didn’t do in the past. This is “discretionary spending”, the money we get to haggle over at this point in the budget cycle. And haggle we did. The reality for us on Council is that people rarely ask us to do less. Every week, people come to Council asking the City to do something more, be it paint more crosswalks or plant more trees or give more to a local group to help run a festival or provide homelessness outreach. Nine times out of ten, we want to do it, and often I see the strained look in staff’s eyes as they are the first to recognize that we don’t have the capacity in our budgets or room in staff work plans to do this, and they are going to have to come back to Council with hat in hand, asking for the resources to fund what Council has already said we want them to do, or to ask us which of the existing programs or services we should cut. It is only the week of budget that everyone asks us to spend less, but aside from “finding efficiencies”, I never hear specific programs that people want us to cut. The “nice to haves” in the budget reporting this year added up to more than $2 Million, and would have put us well over a 7% tax increase. This means we did not fund some of the things I would have loved see happen this year in the City. • $65,000 (0.08%) for a Special Events program coordinator to help for community partners to run events like Fridays on Front. 0.5% The final piece of the budget increase this year is the Capital Levy. We introduced this special line item last year as a buffer for our increasingly extensive capital plan. The big item is, of course, the replacement of the Canada Games Pool and the Centennial Community Centre, which will blow a $100 Million hole in our budget. This is a big enough story, and this is already a long enough blog, that I am going to hold off commenting more on the Capital Plan until a follow-up blog. Short version: I think we should be putting more into this Capital Levy and keep it at 1% this year, but the majority of Council did not agree. What we have now is a proposed budget framework, subject to some last-minute number crunching and adjustments by finance staff. There will be a budget bylaw (and new 5-year financial plan) prepared, which will come to Council for deliberation, though the real debate happened in workshop last week (see the video here). Of course, we always invite public comment and delegations to come speak to the budget and let us know how much they appreciate the hard work staff and Council do to manage the City’s finances responsibly. Alternate opinions are also welcomed. Posted on March 21, 2017 . by Patrick Johnstone. 5 Comments. 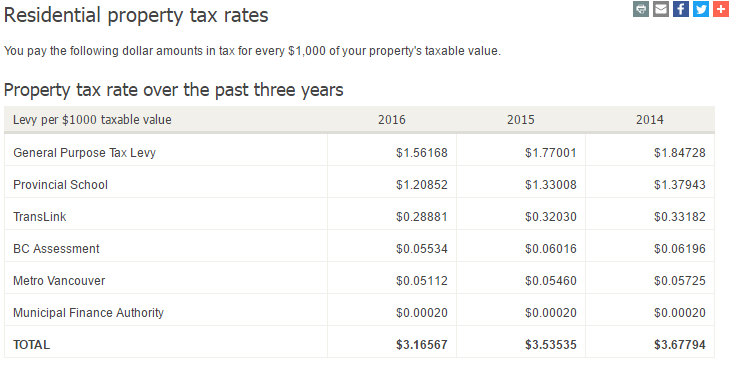 I read your property tax comparison article as I was looking to compare West Vancouver to City of Vancouver taxes. For instance if we say what is the total tax paid on a $2.5 or $3 million house in either community (so property tax, garbage, sewer, water, etc) as I always thought City of Vancouver was more expensive…. when you compare Vancouver streets potholes and snow removal it seems Vancouverites are getting ripped off. Where would I find a comparison for total taxes for same value houses? 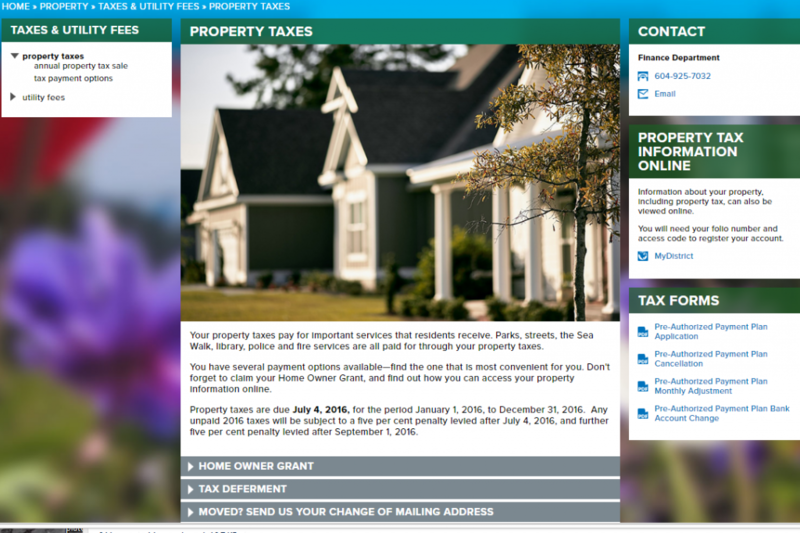 Unfortunately, no such page exists that I can find on the West Vancouver property taxes webpage. If we can ignore Metro, School, and other property taxes that don’t go to the City and are set provincially or regionally, on a house assessed at $2.5 Million in 2016, you paid $3,700 to West Vancouver (2.5M/1,000 x 1.4758), and $3,900 to Vancouver (2.5/1,000 x 1.56168). Of course, we also have to, just for a moment, put aside the absurdity of the phrase “$2.5 Million house in West Vancouver”. Utilities are more complicated. West Van charges Quarterly for water and sewer. Water has a $60/qtr base charge, and rates that go from $1.15 to $1.93 per cubic metre of water depending on how much you use. Sewerage further costs you $32/qtr plus another $2 per cubic metre of water you use. Vancouver bills for water on a Ternary basis, with about a $31 base charge, and rates that go from $0.95 to $1.20 per cubic metre of water based on season. Sewage costs a further $0.87 per cubic metre of water use. So it sure looks like for most users, Vancouver water rates are quite a bit lower, but it depends completely on your use. If you have typical household use, Vancouver is several hundred dollars cheaper per year. Notably, West Vancouver charges homeowners a “Drainage Levy”, which is $400 per year for a typical home. Vancouver does not have a charge like this. That extra $400 charge easily exceeds the difference in property taxes between the Cities. 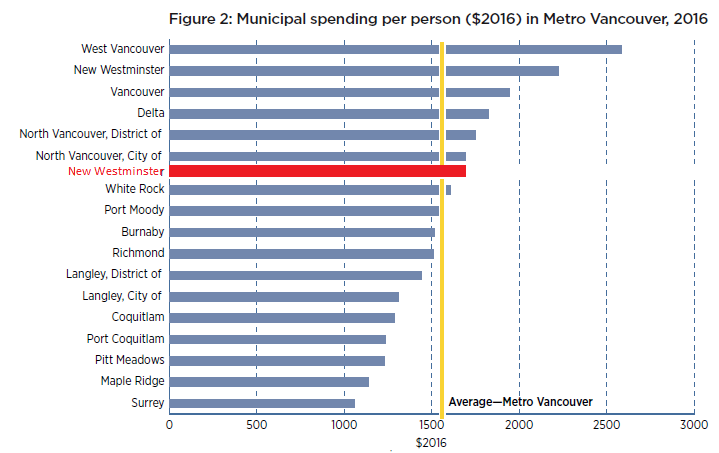 And also points out how the deeper you dig into the comparisons between how different cities pay for their public services, you discover that simply saying “Vancouver has higher taxes than West Vancouver” is a bit of a meaningless phrase. This is why I tried to compare what cities collect in taxes per capita, using data normalized a bit by the provincial government. West Van looks pretty expensive when you look at it that way. 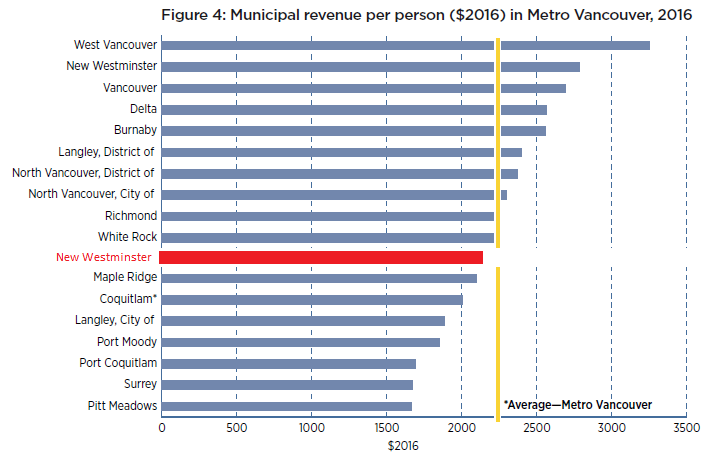 Finally, about the roads and pothole thing, you can look at the 2016 West Van budget, and see they have about $100M in revenue every year, and spend about $4.5M on all engineering services (about 2/3 of that spent on roads). Vancouver’s 2016 Budget showed $1,260 Million in revenue and spending of about $75 Million in all engineering services – so about a 33% higher proportion of revenues. 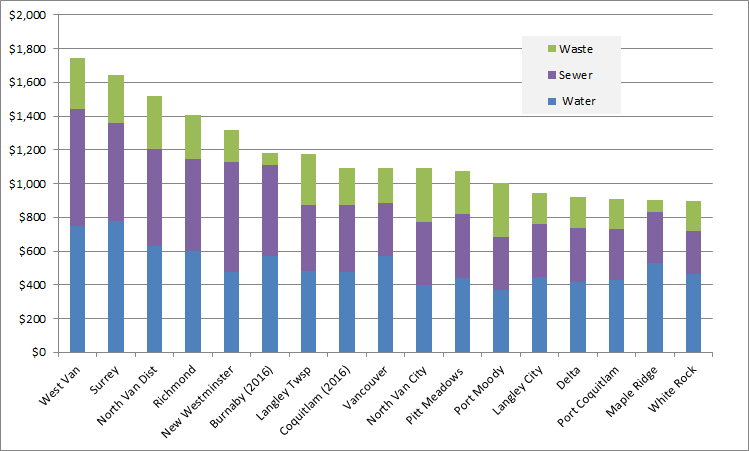 Of course, the roads that Vancouver spends money fixing are way more likely to be used regularly by a West Vancouver resident than vice versa. Also note that Vancouver has (almost) the most roads by area and the most road lane kilometres per capita than any City in British Columbia, where West Vancouver has relatively sparse roads. So we are, once again, comparing apples to pineapples here. New West taxes? We are about average per-household in the region, and are well below average on a per-capita basis. And the potholes this year are terrible, despite the $4.5 Million spent on asphalt annually. That December snow event was pretty hard on asphalt, and that is going to cost us. Posted on March 15, 2017 . by Patrick Johnstone. 4 Comments. Translink recently started asking about transit fares again. This was a long time promise for the compass card that we could better manage the system. The survey is quite overly simplistic but that’s not my question more concern. My question stems for the comments below the Facebook post they have for the survey. The idea of $1 transit fares comes up. Considering only ~35% of the budget comes from transit fares could this actually be a realistic option? I know I would switch from using my car if I could get to work for only a $1. Would the increased ridership even come close to off setting the huge loss in revenue? Is there even a way to know? Sure, I’ll give you one free question since you used to live in New West. Wait – was that your question? As you mention (and I talked about a bit a few weeks ago), TransLink is going through a Fare Review process right now. This is likely in response to the integration of the Compass Card as much as to a newfound opportunity for the next stage of system growth, as the Mayor’s Plan for a decade of capital investment may be back on track. This review is not intended to boost or reduce fare revenues, only to re-jig the system to make it work better; to make it more “fair” or more user-friendly. The working model is that any adjustment would result in about the same revenue from fares, it will just be collected in different ways. The survey therefore was designed to collect people’s feelings about fare structures such as whether people who travel farther should pay more, or the entire system should be a flat fee, but is basically silent on what the actual flat fee or distance charge would be. What you are suggesting is not just a “flat fee” model, but one that sets the fee quite a bit lower than it is now, in hopes that it will boost ridership. Considering the purpose of the survey, what would that rate have to be? TransLink receives a little more than 1/3 of its operating revenue from the farebox, or about $510 Million of a $1.4 Billion budget. Aside from roads and bridges and all the other things TranLink does, they annually have about 240 Million journeys on the multi-modal transit system, or 360 million boardings (obviously, some portion of journeys results in more than one boarding, as a person may transfer from SeaBus to the SkyTrain, or from one bus to another on a single journey). So depending on whether you want to issue transfers or not, you would need to charge $2.15 per journey, or $1.45 per boarding. So a dollar won’t be enough, but would this simple and cheap fare boost ridership enough to make up for it? At current service levels, there would need to be a doubling in the number of journeys on the system, or a 45% increase in boardings. Anyone riding a SkyTrain during rush hour or standing on a 106 recognizes this is not viable without a significant increase in service levels, which would require investments in the capital part of operations (buying more trains and buses), not just increased operational costs. Perhaps there is some wiggle room in the idea of flat $2 fares per journey, one might speculate that this would provide a 7% increase in ridership to make up for the lost revenue per ride, but that brings us back to the fairness question: should a person riding the 106 from Columbia Street to Uptown pay the same amount as someone riding SkyTrain from Surrey to Downtown Vancouver? Which type of journey are we trying to incentivize more? These are the questions the current review is trying to address, even at a relatively simple level. Calculating an optimum fare, one that incentivizes use but also provides enough ridership to maintain a system, is some difficult calculus, even putting aside the political implications of increasing the various tax subsidies to the system (or the massive tax subsidies to the alternatives). I don’t think we are going to get there through this fare system review. And seriously, we really need to talk about how much you are spending on your car now. If $1 fares would sway you, perhaps you might want to crunch the numbers and see where $2.15 fares put you, financially. The sad reality is that, regardless of how much we subsidize cars, they are still surprisingly expensive to operate if you do the actual math. Posted on January 14, 2017 . by Patrick Johnstone. Leave a comment. Assessments are out, everybody lucky enough to have entered the housing market lottery prior to about 2008 is discovering how much their nest egg has expanded in the last year, and even to the lucky winners, this is at times disconcerting. Strangely enough, people who have just discovered that have an extra couple of hundred thousand dollars in tax-protected equity they didn’t know about are concerned about the impact on their Property Tax. People are funny that way. I wrote a piece several years ago about how property tax relates to your assessment increase, and last year provided a handy graph showing how your assessment increase vs. the average city-wide assessment increase results in different increases in your taxes. This year, the Mayor of Coquitlam used Facebook to send essentially the same message, and New West blogger and noted Hawaiian star-coder Canspice wrote another piece with a slightly more updated example of how the system works compared my older one. So I won’t tread over all that again, but short version is your Municipal taxes won’t go up nearly as much as your assessment. My incredibly average house’s value went up 30% this year, and the average for New Westminster was 28.5%, so my property tax bill will go up 2.5% plus whatever increase Council decides is required to pay the bills in 2017 (now looking to be just under 3%, but not yet confirmed). If your home went up 25.5% in value, your taxes would be exactly the same as last year. If your home went up less than 25%, your taxes are going down. In New West (and this varies between Cities for reasons that will soon become obvious), about 60% of your Property Tax goes to the City, the other 40% goes to other agencies, and the City has no control over what the rates are for those taxes. 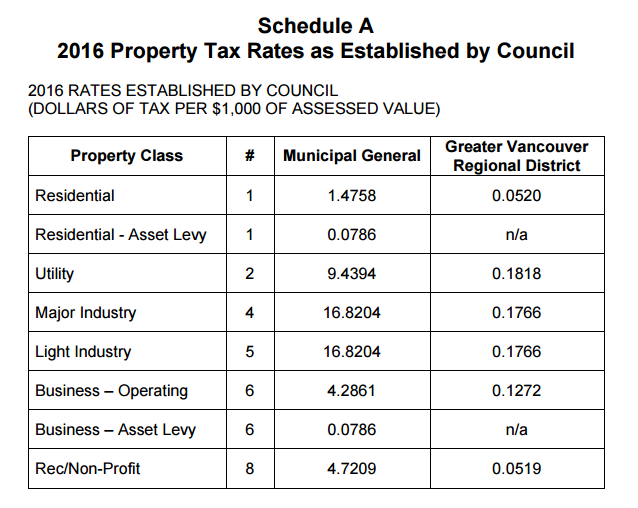 Your 2016 property tax in New West broke down into these categories, with the Mil rates shown. Only about 60% (the blue bit) goes to the City. The School Taxes (for a New West residential property, this is about 30% of the total you pay) are set by the Provincial government. They are based on a Mil rate, like your Municipal taxes, and like them, the rate is different in every City. Generally cities with higher land values have lower mil rates (West Vancouver is 1.026, Quesnel is 3.698), and the rates are adjusted every year. After that, I honestly have no idea what formula they use or what their goals are towards equity across the Province. According to the Ministry, they are raised every year “based on the previous year’s provincial inflation rate”, but I am not really able to confirm or refute that idea. I have never seen a letter written to the newspaper complaining to the province that School Taxes are going up. There are also two regional charges attached to your Property Tax bill, again not directly controlled by the Municipality: those to support the operation of Metro Vancouver (GVRD) and TransLink (GVTA). 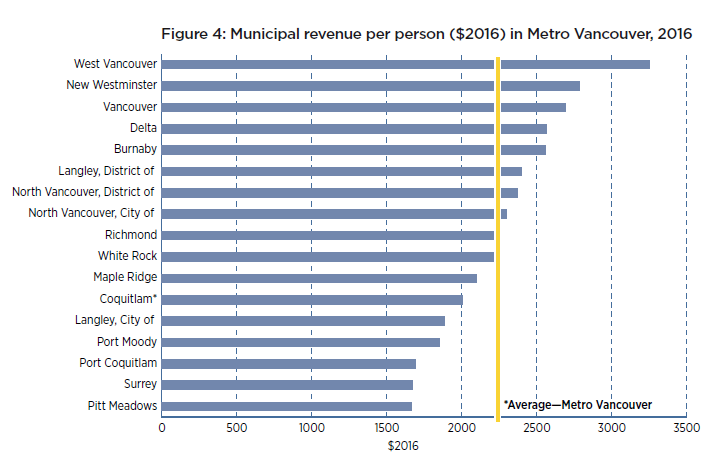 The Metro tax (Mil rate 0.0563) is solely for regional government operation, and is separate from the utility charges that makes up most of Metro Vancouver’s revenue. 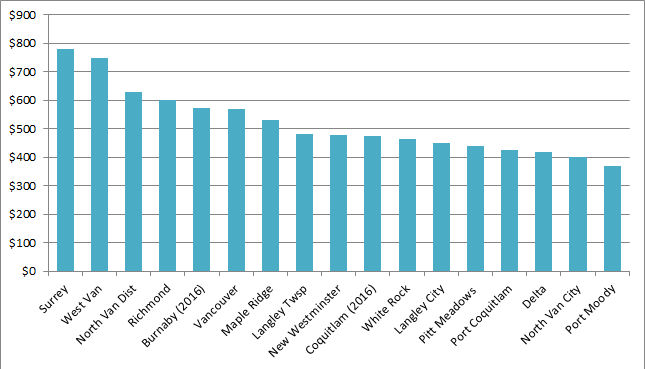 The Metro Vancouver board (which is every mayor in the region) negotiates that rate every year based on needs, and it is the same Mil rate across the region, so people in West Vancouver pay much more per household than people in New West, as their property values are higher. The TransLink Mil rate (currently 0.2834) is determined by the TransLink board, with approval from the provincial government and within the confines of the provincial regulation that governs them. This rate is , again, flat across the region, meaning West Vancouver and Vancouver pay more than New West and Langley per household. This provides about 20% of TransLink’s revenue, and this is the heart of the long battle between the provincial government and the mayors of the region – the Province would prefer that new TransLink revenue to come from increases here, the Mayors have a long list of alternate sources they would prefer, from sales taxes to road pricing to carbon tax. But let’s not go down that rabbit hole just now. There are also two small charges controlled by the provincial government for the benefit of local governments. The BC Assessment Authority (BCAA), who determines your land value, is funded wholly through Property taxes, and the Municipal Finance Authority (MFA) gains some operational funds through a very small Property Tax charge (20 cents for a $1,000,000 house). 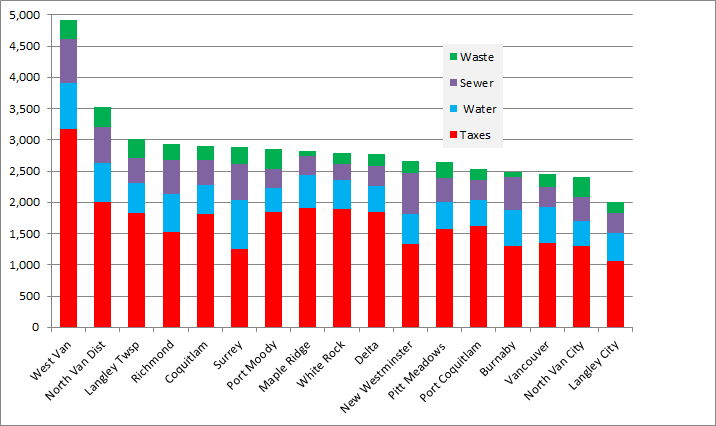 Both of these are collected with Mil rates flat across the province, so the average West Vancouver resident pays much more than the average Quesnel resident, with New West somewhere in the middle. Finally, the City’s new Property Tax Estimator gives you an idea of what your actual assessment means to your tax bill, assuming that Council approves a 2.98% tax increase. It also provides an interesting break-down of how the City’s revenues are distributed between departments, giving you an idea of what you are buying with your Property Tax, and how much you are paying for each. Posted on May 16, 2016 May 16, 2016 . by Patrick Johnstone. 2 Comments. We are through the annual budgeting cycle at City Hall, our 2016-2020 Financial Plan passed, our tax increase bylaw adopted with a 2.73% increase for 2016. I tried during this and previous tax seasons to talk about the hows and whys of our Property Tax system, but there is one topic I didn’t really touch on. It is a topic raised commonly by local contrarian, cyclist, and generally good guy, Ed. I am paraphrasing a collection of Twitter missives a bit, but my understanding of Ed’s position is that property tax increases should be limited to CPI increases, or matched to inflation. 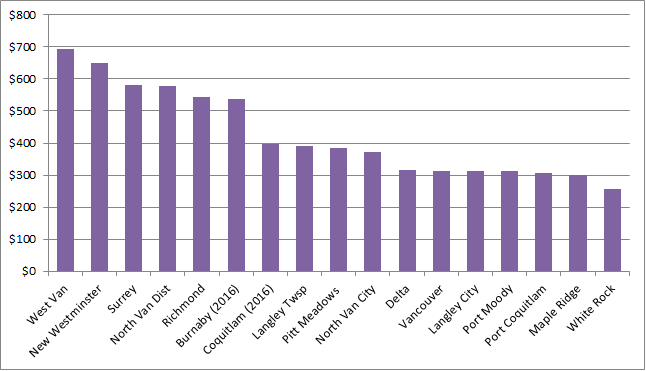 In this post where I compared New Westminster’s tax increases to the inflation rate, you can see that we are, and have been for more than a decade, above the CPI rate (which is projected by the Province of BC to be 1.9% in 2016), as is every other City in the Lower Mainland. Why? It shouldn’t be too much of a surprise. Every year as a part of the budgeting process, staff bring recommendations to Council about new spending, and provide us (and the public) a pretty clear picture of how much each new staff position, program, or service will cost Taxpayers, right down to the percentage of tax increases. Some of those positions, programs or services come with offsetting cost savings or revenue potential, but in the end it always seems that taxes need to go up, it is just a question of how much. I’m going to skip a little bit past the easy political talking points: downloading, deindustrialization, and economic bleeds caused by decades of neo-liberal economic policy. That’s not to say these factors should be blithely dismissed; indeed they are real pressures on local governments, and may be the biggest factor in ongoing tax increases. Maybe in another blog post I’ll try to explain what is wrong with the entire world economy (better if you just go read Umair Haque), but for now I am going to keep this local, because we are asking what we in Local Government can do about this. There are many drivers that push up the cost of running a City the same way they push up the cost of running of your business or household. Just as you pay more every year for food, utilities, banking charges, transportation, and taxes, the City pays more for wages, equipment, supplies, banking charges, utilities, etc. As Ed astutely observes, those increase is (more or less) related to the Consumer Price Index. There may be long-range factors that impact how closely our operational costs match CPI year-to-year. For example, a long period of ignoring our infrastructure means it will be more expensive to repair when the situation becomes critical. Similarly, if we have extended periods where wages are not keeping up with inflation, that will come back to haunt us. There is a third factor, however, that is completely in control of local governments and the electorate that empower them. Every year, people want more from their local government, and more never comes for free. To give examples of this, I think I can divide that “more” into three general categories (recognizing there is a lot of overlap between the three): new needs, new programs, and new approaches. New Needs are things we have to do now, that we didn’t really have to do in the past. There is some aspect of “downloading” to this, but most of it is just a result of changing times. We currently train a group of our NWFD force to respond to Hazardous Materials incidents, in case one happens at the railyards in the City. This was partly a response to the tragedy at Lac Magantic, partly an increased awareness of the hazards that exist in our community and a demand from the public that we do all was can to address those concerns. Another example is the new policy that every single sidewalk corner will have a “let down” to make all of our sidewalks accessible for those on wheels, those pushing children in a stroller, and those with other mobility limitations. We are similarly spending money upgrading all of our bus stops to meet accessibility standards. These are just a couple of examples of things we now do that we did not do in the past, and they all cost money – more money than we collected in the past. New Programs are things that we have chosen to do because people want them, but are (arguably) not “needs”. I was at the Youth Awards held last week at Century House, and was reminded about the programming we offer in our (still brand new) Youth Centre, a facility used by literally thousands of local youth every year. We have recently been discussing infrastructure upgrades at the Library, and I am learning how they provide the only access to the internet for a significant portion of our community. Everything from interacting to government agencies to applying for jobs is impossible in 2016 without internet access, and the needs of the community are outstripping the computer terminals we have. We are currently replacing one of our all-weather fields for the princely sum of $1.5Million, because it is past its service life. We do this because a plastic turf field is about 5x more used than a grass field, and we can offer much more programming on a limited amount of space available in the City. Our Police Department has officers specially trained to determine when a person is suffering from a mental health issue, and manage their approach in a way that is less likely to result in violence or self-harm for the member of the public. Again, new, modern problems all around, not things we did 20 years ago, but things that our community expects in 2016. New Approaches are things we have always done, but do very differently now, often in ways that are more staff or resource intensive. I am sitting in on the Public Engagement Taskforce, a group of staff and public volunteers looking at better ways for the City to reach out to the public they serve, both so we can keep the public more informed and so we can get more meaningful feedback from the public when we need to make decisions. The way we, as a City, have turned the Official Community Plan update into a two-year-long public conversation about the future of the City, instead of just a small collection of staff and a few councillors attempting to dictate the future, is an example of how resource-intensive true engagement is, and how important it can be to a community. Again, it seems obvious to us now, but not something we expected 20 years ago. This is not to say there is nothing we can stop doing or paying for as times change: we save a bunch of money on pesticides with the new approaches to weed management in the City; our fleet fuel budget is going down as we upgrade to a more efficient vehicle pool; the cost of running our solid waste program is definitely increasing at a rate less than inflation as efficiencies are found. Our mental health officers will likely result in lower crime levels, better supports for marginalized people, and law enforcement savings down the road. Building pedestrian-friendly streets will reduce the use of cars in our city saving us money in road maintenance, emergency response, and health care costs. There are also efficiencies of scale as population increases and density makes provision of services more convenient. But the reality is that pipes in the ground and mowing lawns are costs that track along with the CPI, and no-one is lining up to propose which programs they want to see cut in the City. New approaches to new problems are inevitably added to the bottom line. Every election, people come along saying they will freeze or lower taxes, but do any of them provide details of how they will do it? I still fondly remember former Mayor Wayne Wright in the 2011 election shutting a rather vitriolic opponent down at an all candidates’ meeting by calmly saying “Cutting taxes is easy. It’s the easiest thing for us to do. Just tell us which programs you want to cut to make it happen”. There was no retort, because he put a lie to the “find efficiencies” and “set priorities” memes that neo-liberals use when their real goal is to undermine public services at every scale, from public transit to schools to health care. It is also telling that even the most strident of anti-tax crusaders find that in Local Government, the bills are always coming due because we have to answer the phone when someone loses a service or program important to their lives. As a Council, the toughest part is setting priorities. You get elected hoping to do a lot of great stuff, and run up against limited resources and an over-burdened agenda of 7 Council Members. I would love for us to develop the Gas Works site into a public art curator and public park, to complete the Sapperton Landing to Pier Park greenway connection, to build an architectural wonder for a Q2Q bridge and a energy efficient family-friendly and competition-supporting Canada Games Pool. While we are at it, I want to fill the funding gap of senior governments that is threatening the very existence of our supported Co-op housing sector, build a fully integrated and interconnected bikeway network, and plant 10,000 trees to bring our urban forest back to the national average for tree canopy. These are all important things, and they all cost money, and they would all result, eventually, in tax increases above that of inflation. We can probably avoid significant tax increases if we do none of them, along with not doing a list of other things that would make our community better. So every year at tax time, and actually throughout the year, when new programs or better services are presented to Council, we evaluate them. We try our best to understand the long-term budget implications, ask how or if these ideas can offset costs other areas (“find efficiencies”), and determine if this is something needed right now, or if it can be put off (“set priorities”), and we hear from the public about how critically important, wonderfully visionary, or economically savvy each new idea is. And we make those tough choices, and often we say no. That’s the job.